On my first visit to Baildon Moor in 2018 another photographer interested in wildlife (Danny Virr) pulled up beside me on the road having spotted me putting my camera gear away. 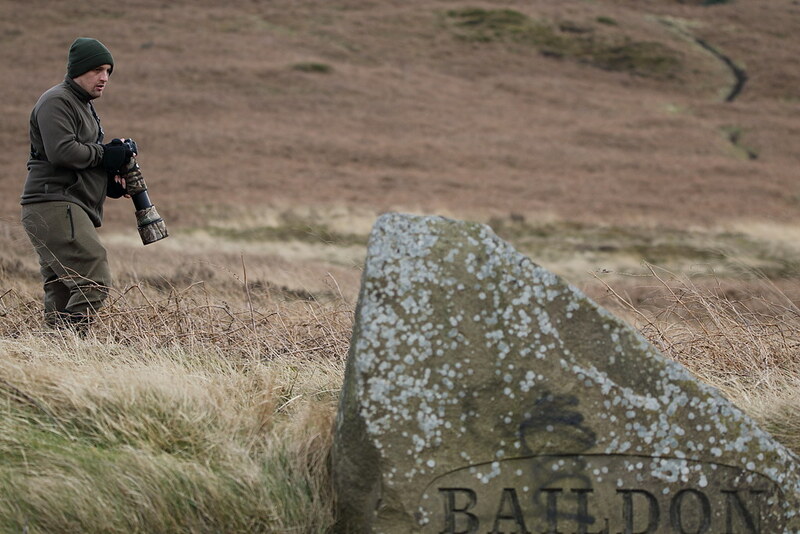 We had a natter and agreed that sometime in the future I would show him a bit of Baildon Moor. And that’s what happened on Thursday 22 March. It was a quiet day, for me anyway. We started off at the Glovershaw end, near the cattle grid, and went north with the wall on our left. The fields over the wall had quite a few Lapwing but they were not particularly active or noisy. 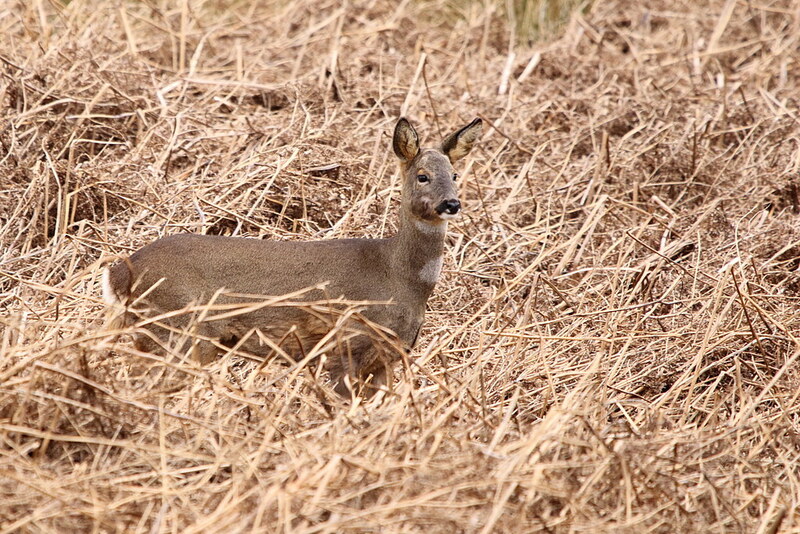 We could also hear the odd Curlew in the near distance. 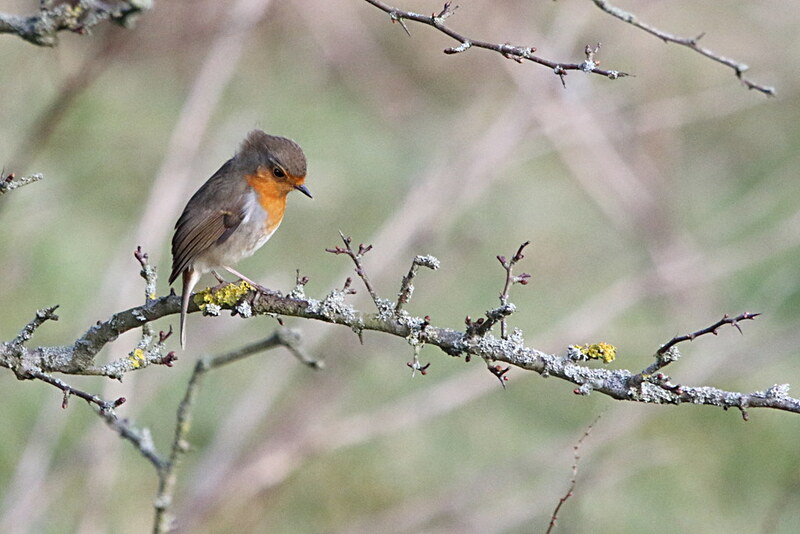 We carried on round to where the wooden huts are in the field and spotted this Robin in one of the trees next to them. We had been hoping to see Stoat in the dry-stone walls but no such luck. We then walked along having the view shown above and past The White House, then Moorside (no little owls spotted on route) and headed down towards Gill Beck. 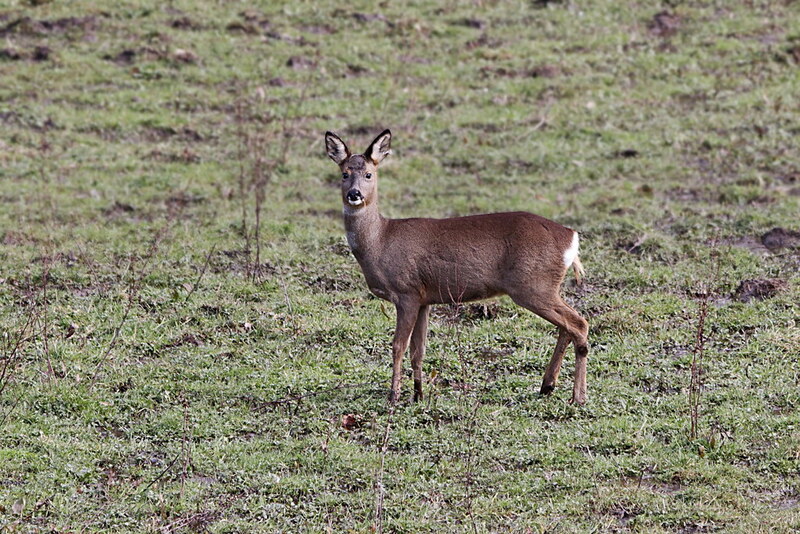 I was just saying that we were in the area where we could expect to see deer. And that is exactly what happened as we looked down the slope. The fuzzy bit at the front of the photo is the slope we had just got to the top of. 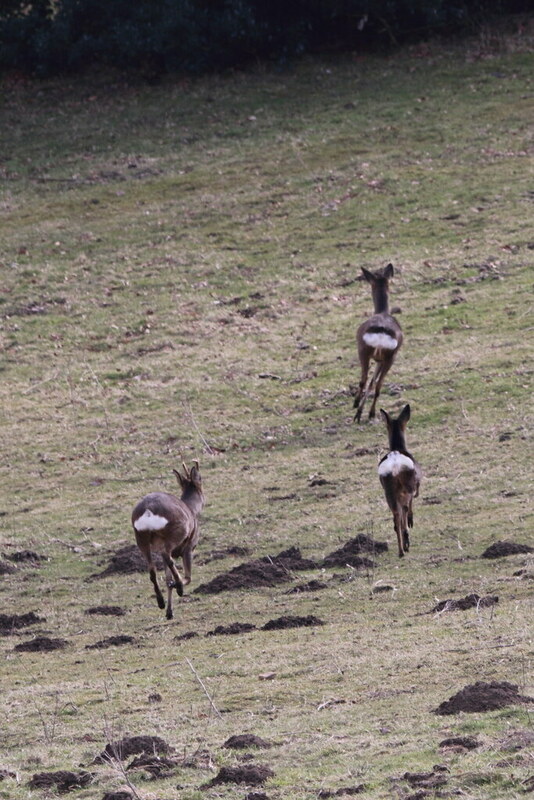 Three Roe Deer were at the bottom. 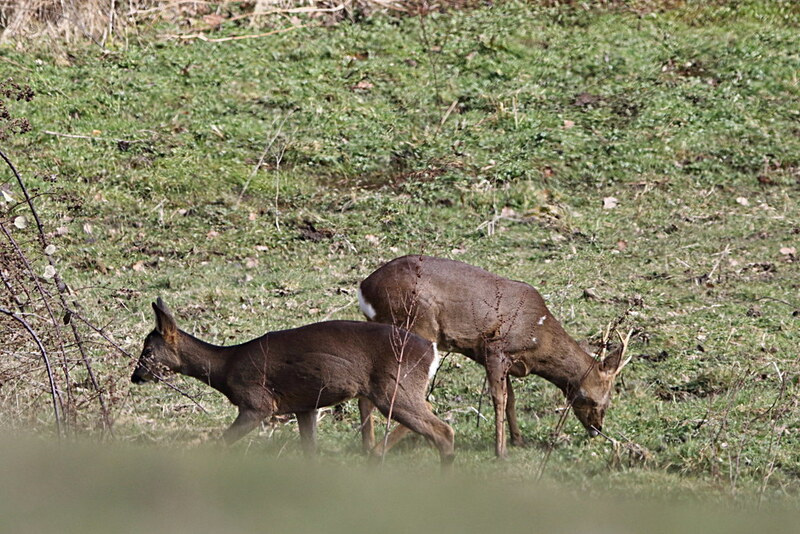 Unfortunately one of them had just wandered behind the bushes. We then walked along the beck and across the field to the White House and along the path towards Sconce Scout Camp. 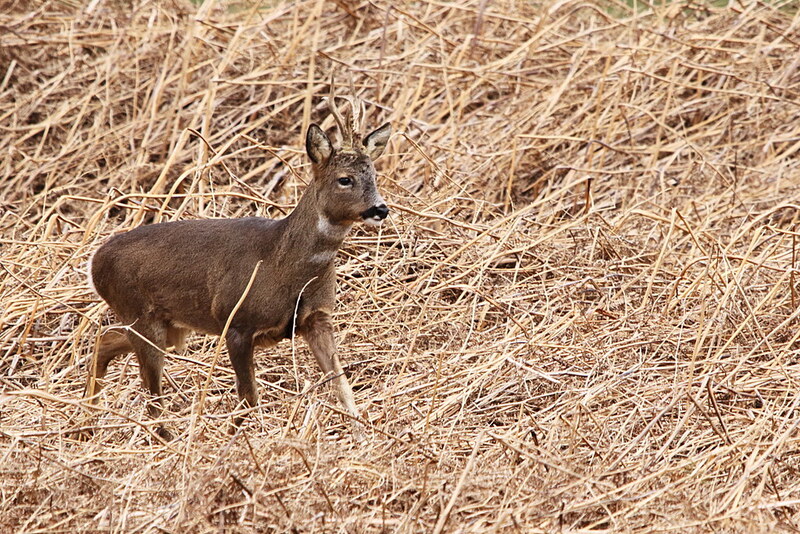 As we got towards the scout camp a walker was crouched down holding his dog and told us that deer were just below. 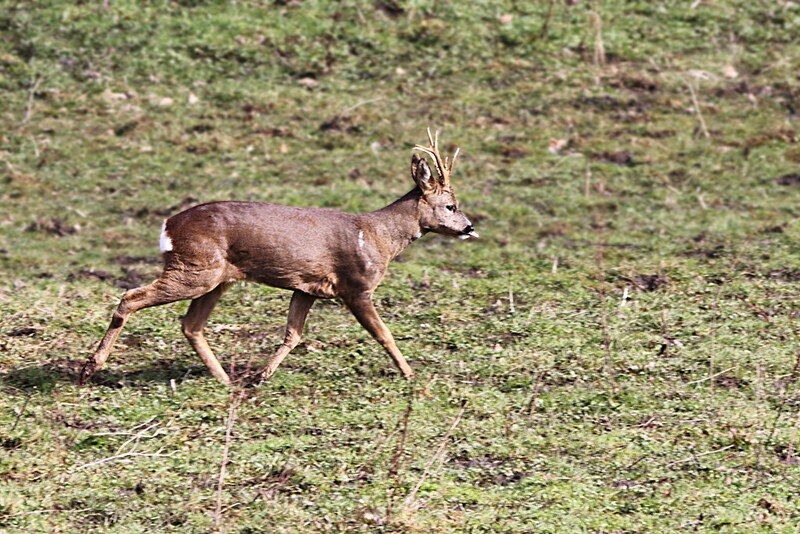 Both a buck and a doe wandered past. 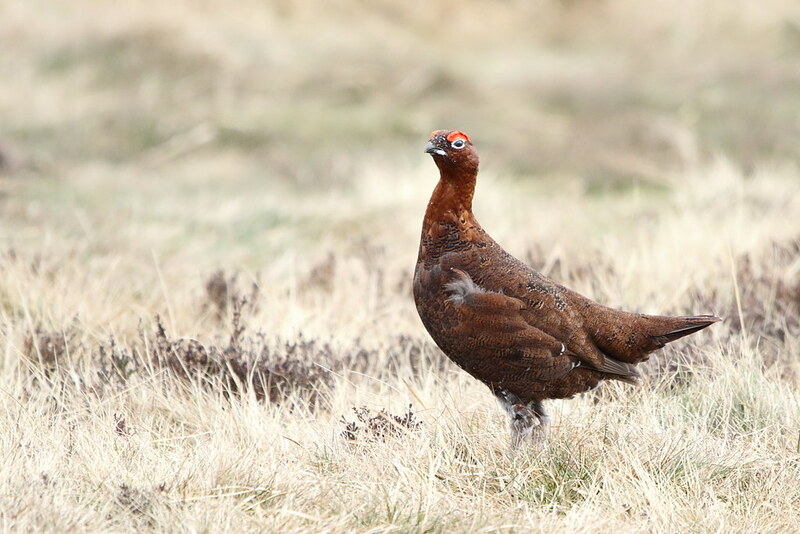 Retracing our step we then came across Red Grouse. 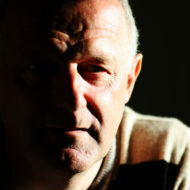 This one looks as though he should be on a whisky bottle label. 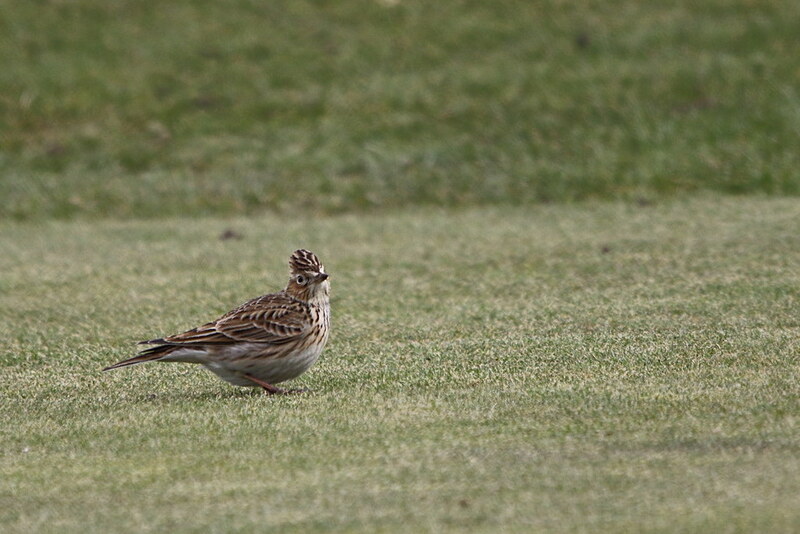 We also saw Skylark on the golf course. I had struggled in the past to tell the difference between Meadow Pipit and Skylark, especially when you only catch a glimpse as they fly away. But when they stick their crests up like this it is obviously a Skylark. 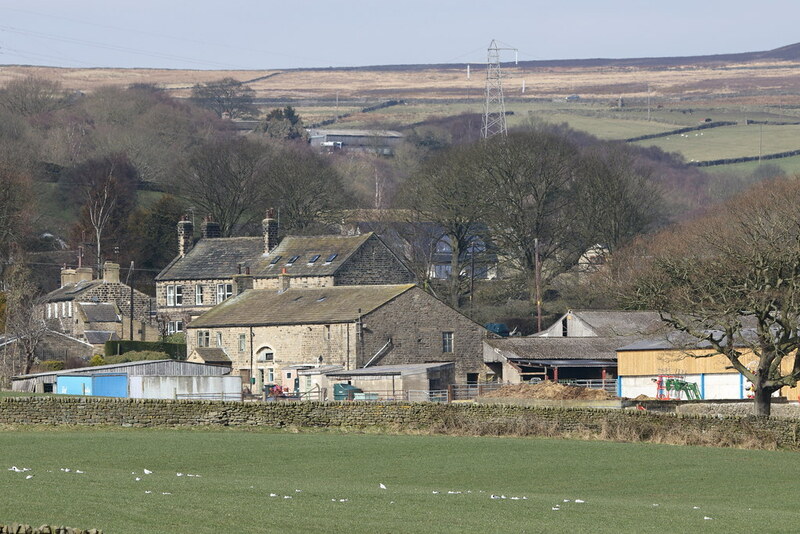 Back around by Golcar and Glovershaw we had a natter with Paul King, a fellow member of Bradford Ornithological Group, and heard a Snipe over towards Golcar. We also saw a flock of 40 or so Golden Plover, some of which are above. Soon after that I left Danny so that he could get some fish and chips (I have yet to hear if they were any good) and so I could go and rest my legs. 8:00am until 4:00pm is enough for me. 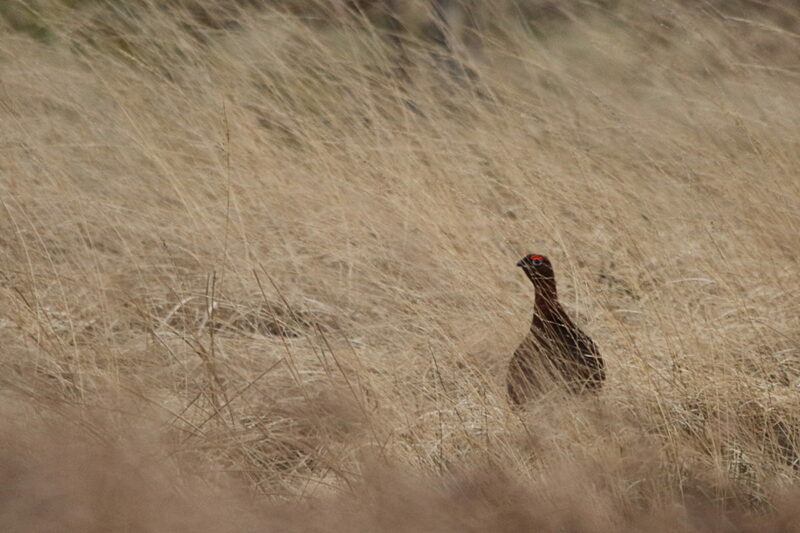 Here he had just been taking some photos of the Red Grouse that I have used as the featured image at the top.